Colour genotype information has been included for the first time – in short, this is a way of determining what a bird will inherit from its parents i.e. it’s genetic makeup. There have clearly been many hours devoted to gathering the information and photographs in this book by some very dedicated people. It has been thoughtfully put together into a very handy reference book that makes picking it up a pleasure. 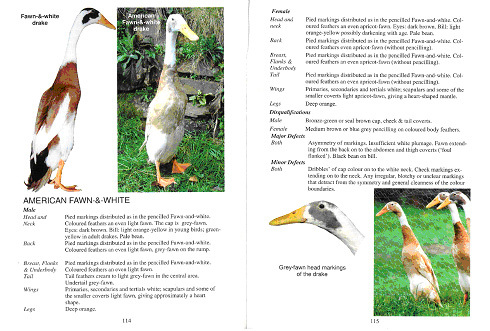 I would recommend this book to anyone serious about keeping or showing waterfowl as after-all this is THE guide to what breeders should be aiming to produce. Have you read this Standard? If so, please leave your review in the comments box below to let us know what you think.